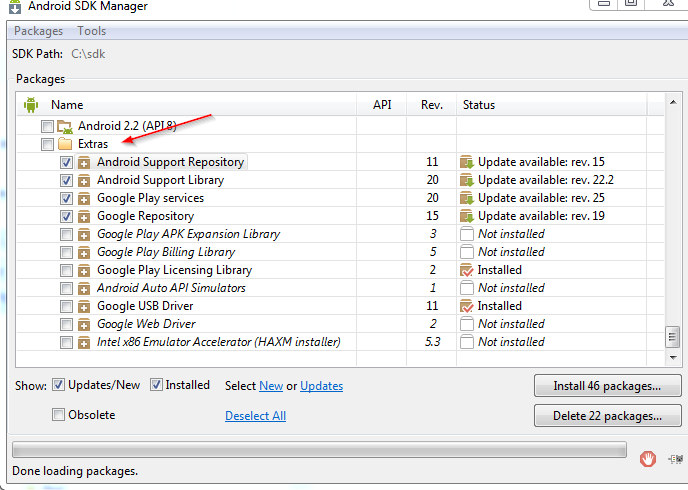 Where is the "extra" folder in Android SDK Packages Installation? If you go to point 2, where it says "Get the support library for additional APIs", and it says, "Open the Extras directory and select.."
Where is the Extras directory? I could not find it under C:\Program Files\Android. Nor did I see it when I loaded up the SDK Manager. extras will be created if you download something from extras. Email codedump link for Where is the &quot;extra&quot; folder in Android SDK Packages Installation?